The advance of a rogue militia on Tripoli, the capital city of Libya, has forced the hasty evacuation of U.S. troops from that country, highlighting the lack of a cohesive strategy for ongoing U.S. military operations in Africa and a seeming White House ambivalence about the continent, according to former officials. For several years, from a handful of outposts in Libya, U.S. special operators have been conducting counterterrorism missions with names like Obsidian Lotus and Odyssey Resolve. These are just two of dozens of named operations that, largely unknown to the American public, have been launched from a string of bases across the northern half of Africa, according to information obtained by Yahoo News via the Freedom of Information Act. Some former officials remain unconvinced, however. “I don’t believe there’s a well-articulated strategy,” said a former Africa Command official. Nowhere is that policy vacuum more evident, critics said, than in Libya, where Gen. Khalifa Haftar’s militia this past week fought on the edge of Tripoli, prompting the U.S. military on April 7 to announce it was evacuating the small force it had maintained in the Libyan capital. 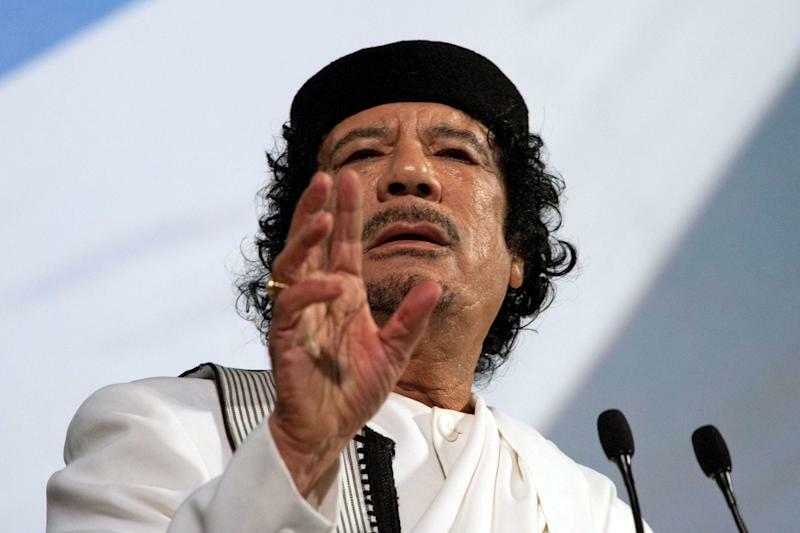 The U.S. withdrawal caps a turbulent period since the fall and killing of longtime dictator Muammar Gaddafi in a U.S.-supported revolt during the Arab Spring uprisings of 2011. The North African country descended into a multi-sided civil war, with dueling governments in the west and east of the country and vast stretches of territory controlled by various Islamist groups. 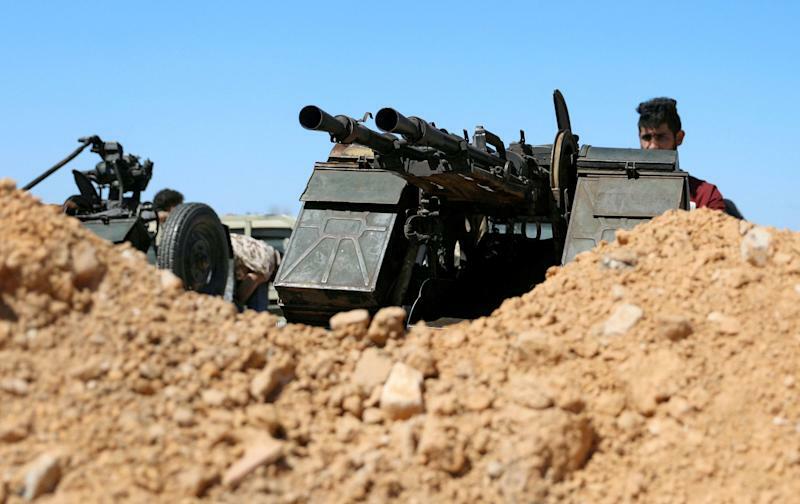 In Tripoli, the United Nations-recognized Government of National Accord held sway. On the other side of the country, in the east, the dominant force was the so-called Libyan National Army run by Haftar, a former officer in Gaddafi’s military who returned to Libya in 2011 after two decades in exile in the United States. Haftar has at different times allied himself with the CIA, the United Arab Emirates, Egypt and Russia. He has been described in the past as “the biggest single obstacle to peace in Libya,” but retired Army Brig. Gen. Don Bolduc, who headed U.S. Africa Command’s special operations forces between 2015 and 2017, said the United States made a mistake by not committing more to work with him in the fight to defeat the Islamic State’s Libyan branch. But that was not the view of some in Africa Command’s headquarters in Stuttgart, Germany. 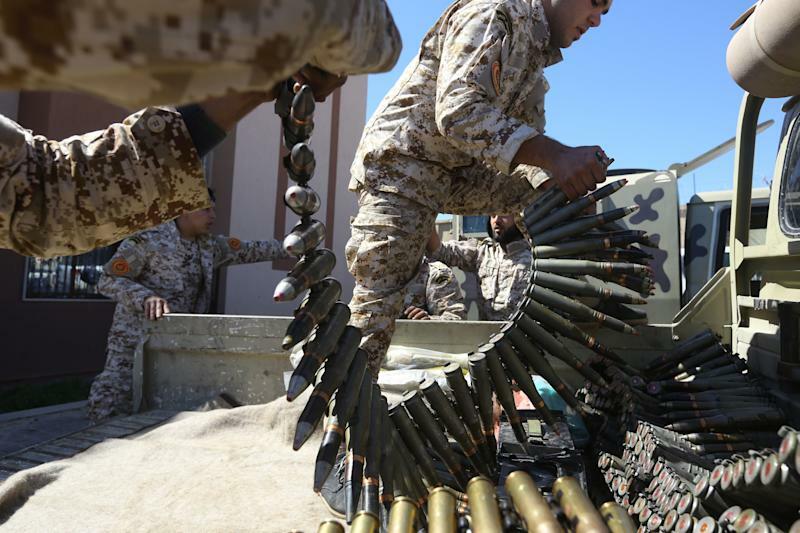 “Our policy was really jacked up in Libya,” said a former Africa Command official. Despite the U.S. military providing “options” from which to pick a strategy in Libya, U.S. policy “all the way” to the top in Washington was characterized by “indecision – the attempt first not to pick sides and then pick sides,” the former Africa Command official said. In May 2015 the Islamic State captured the coastal city of Sirte, about 273 miles east of Tripoli. A year later, the Government of National Accord launched an offensive to retake the city, which the United States supported with an extensive campaign of almost 500 airstrikes as part of Operation Odyssey Lightning. Western special operations forces helped coordinate that campaign and advise the Libyan government troops. A small contingent of fewer than 100 U.S. special operators were already in Libya, working out of bases in Misrata, Benina, Tobruk and Tripoli. This force, part of Joint Special Operations Command (JSOC), the secretive counterterrorism organization, was focused on the destruction of the Islamic State and Al Qaida in Libya. Unlike other U.S. special operations forces in Africa, who worked for Bolduc, JSOC task forces answered directly to Africa Command. But Bolduc also contributed some of his troops to work under the tactical control of the JSOC task force in Libya, including a tiny force consisting of little more than a 12-man Special Forces A-team that was there to conduct Operation Obsidian Lotus. “We put together a small force to be able to go out and do counterterrorism operations,” said Bolduc. “It was a combination of hunting them from the air and using Libyan special forces – that we had trained – on the ground.” The Obsidian Lotus missions aimed to generate intelligence “that would maybe lead to a high-value target that we could pass off to our JSOC brethren,” Bolduc said. Obsidian Lotus was a so-called “1208 program,” named after the budgetary authority that governed such low-profile counterterrorism efforts. Since renamed “127e operations,” these turn local fighters into a surrogate force for the United States, which trains it, equips it and directs its missions unilaterally. But in the summer of 2016, shortly after the start of the battle for Sirte, U.S. special operations forces were no longer permitted to accompany their Libyan partner forces into battle. The U.S. forces were still allowed to advise their Government of National Accord partners away from the front lines, but they were ordered to cease all cooperation with Haftar’s militia. “It was a decision made by the National Security Council staff and the Department of State,” said Bolduc, who disagreed with the change. No battlefield catastrophe prompted the Obama administration’s policy shift. There had been no U.S. special operators killed in action in Libya during Bolduc’s time in command, and only one had been wounded – a commando who had been blown against a wall when a mortar round impacted inside a compound near the former U.S. embassy in Tripoli in 2015, Bolduc said. 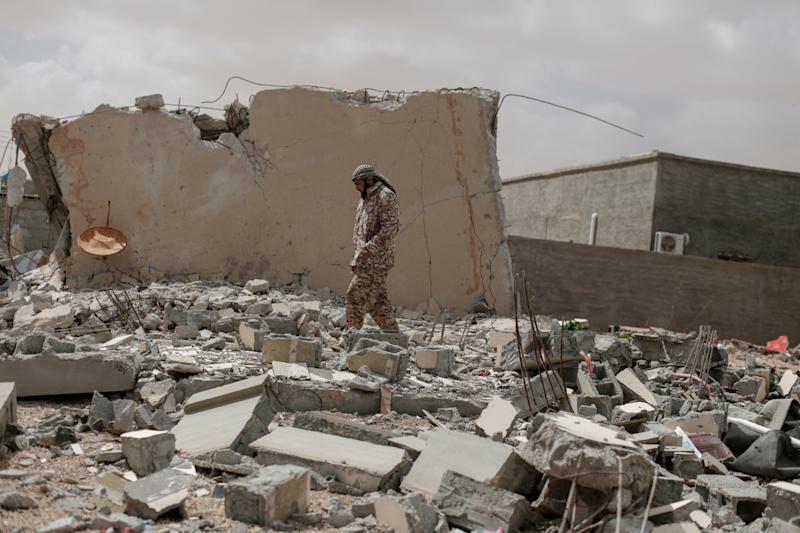 With the Americans now confined to their bases and safehouses, the lead role in Sirte and elsewhere fell to British special operations forces, according to Bolduc and other former special operations officers. Other members of the international special operations coalition included Italy and France, he said. By the end of 2016, those Islamic State fighters who had survived the aerial pummeling of Sirte had withdrawn from the city. The air campaign, which had been managed by Joint Special Operations Command, which controls Delta Force and SEAL Team 6 and is sometimes referred to in the U.S. military simply as “Task Force,” had been a resounding success, according to Bolduc. “Task Force ran a very successful air campaign because it was done in conjunction with, and not separate of, a very well-coordinated ground effort,” he told Yahoo News. 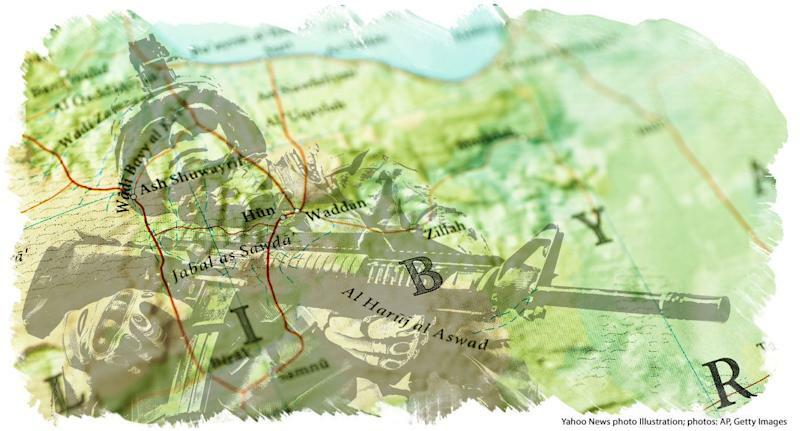 The Islamic State learned not to draw the attention of coalition air power by massing in cities, but instead to organize into smaller groups in rural locations and conduct attacks to keep the government unstable, according to Bolduc. As a result, the Islamic State “were able to change how they operated and create more instability in more places inside Libya,” he said. 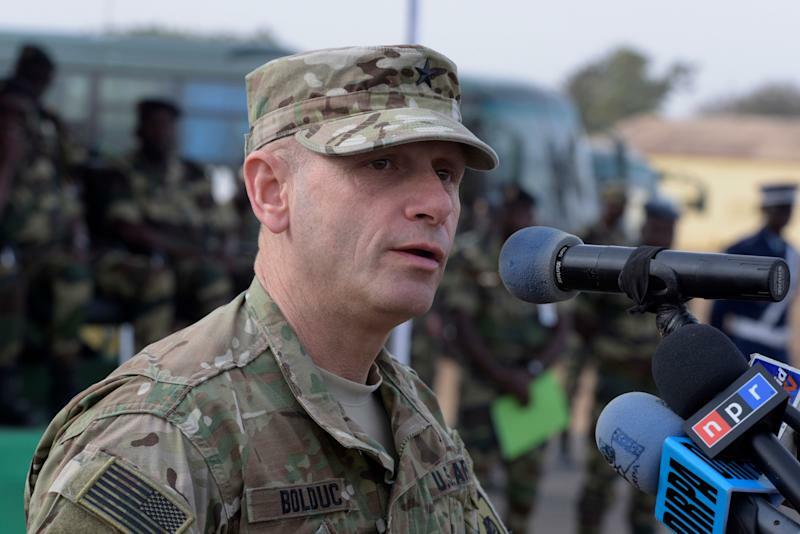 However, in his written answers to advance questions from the Senate Armed Services Committee, the Trump administration’s nominee to be the next head of Africa Command, Army Gen. Stephen Townsend, sounded a more optimistic tone. “U.S. efforts to degrade and contain violent extremism in Libya have been largely successful to date,” he wrote. While al-Qaida “is not currently conducting attacks in Libya,” it is strengthening its smuggling networks in the country to facilitate the movement of fighters and weapons to support its operations in the countries of the Maghreb and the Sahel (the transitional region just south of the Sahara), according to Townsend. “AQIM is a critical longer-term threat as it has gained influence by marrying into local tribes, building relationships with extremist militias, and using Libya to support its broad operational reach into the Sahel,” he wrote. 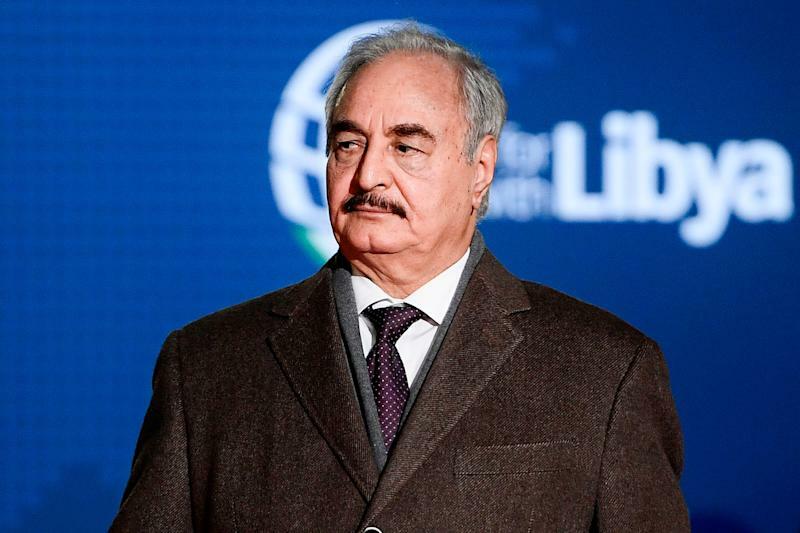 It was Haftar’s willingness to make common cause with the United States in the fight against those groups that persuaded Bolduc that the U.S. government should lend him its support. “We should have been supporting Haftar, only because he’s taking the fight to the enemy and he’s doing it very effectively,” Bolduc said. But according to Townsend, in the absence of a reliable security force loyal to the Government of National Accord, groups like Haftar’s are part of the problem, not part of the solution. “Powerful paramilitary groups, such as the Libyan National Army, will likely continue to capitalize on the weak governance of the GNA to exert their own power and agendas,” Townsend wrote. 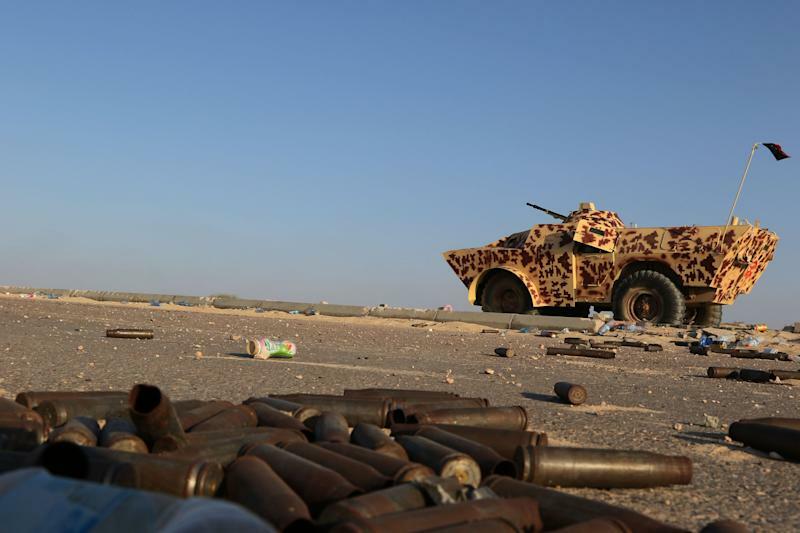 That view was reinforced by the White House, which has condemned Haftar’s offensive. Yet this latest turn of events comes as the Trump administration is refocusing the military away from counterterrorism and towards nation state conflict. The Defense Department has directed Africa Command to cut ten percent of its troop strength on the continent, and as a result, the command will initially reduce its forces by about 300 personnel, half of which will be special operations forces, Marine Gen. Thomas Waldhauser, the outgoing head of Africa Command, told the House Armed Services Committee on March 7. Waldhauser said that he had been directed to cut only those forces engaged in counterterrorism missions, but that the troop reductions would have no impact on such missions in either Libya or Somalia, the two countries where Africa Command has the legal authority to conduct “kinetic” - i.e. lethal - operations.